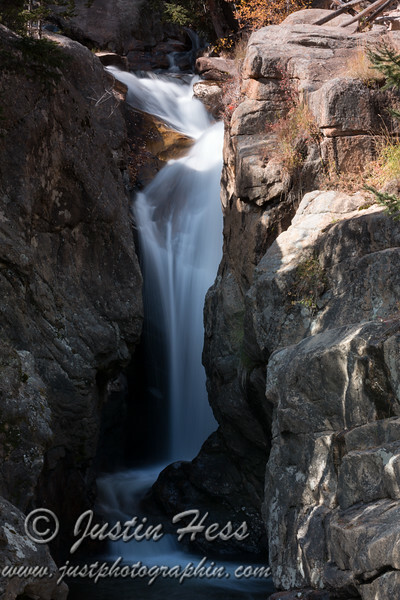 Chasm Falls along Old Fall River Road in Rocky Mountain National Park. I pulled some filters out of my bag to assist with the long exposures, and am fairly pleased with the results. This is a long exposure of Chasm Falls. I like the contrast between the shadows at the bottom of the falls and the splash of light at the top of the falls.